Turkish cuisine is considered to be one of the most varied and exciting in the world. Traditional Turkish food uses flavorsome natural ingredients and a fragrant mix of delightful herbs and spices which appeal to a range of different international palates. Turkish culinary tradition tends to bridge the gap between Mediterranean and Middle Eastern cuisine through an impressive selection of typical national dishes. So if you are currently planning a visit to Istanbul, Turkey, check this short guide to some of the most typical Turkish dishes, and make sure that you book your stay in Istanbul well in advance in order to ensure that your holiday is truly unforgettable! With this in mind, here is a quick guide to help you discover some of Turkey’s tastiest cuisine. The kebap has to be Turkey’s most famous and celebrated dish worldwide. When cooked well, using good quality meat, kebaps are simply delicious! The meat, usually lamb or beef, is coated around a special skewer and then they are traditionally grilled over a hot charcoal fire until smoky and golden. This tasty Turkish vegetarian dish makes for the perfect starter. Yaprak Sarma consists of fresh vine leaves wrapped around a filling of rice and onion with herbs such as mint and spices including pepper and cinnamon. 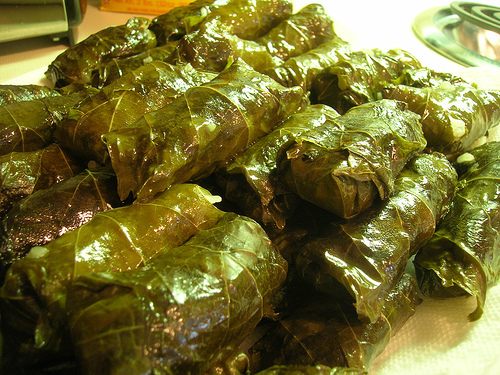 The stuffed vine leaves then tend to be steamed in order to complete this traditional recipe. This is another of Turkey’s most beloved and renowned dishes. Karmyarik is made using good quality fried aubergines, minced meat, garlic, onion, tomato and a generous handful of fresh parsley. Many locals consider this to be a must for all visitors interested in typical Turkish cuisine. Köfte is Turkey’s answer to the meatball although it comes in all shapes and sizes. This wonderful dish is made using lamb or mutton, breadcrumbs, onion and a range of rich spices. 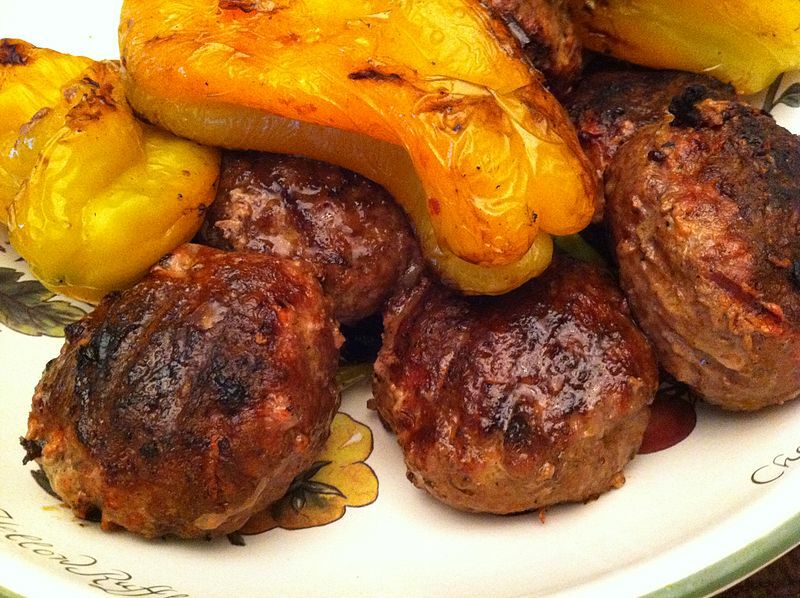 Traditionally Köfte is served with rice, bread and grilled peppers wish a dash of fresh parsley. 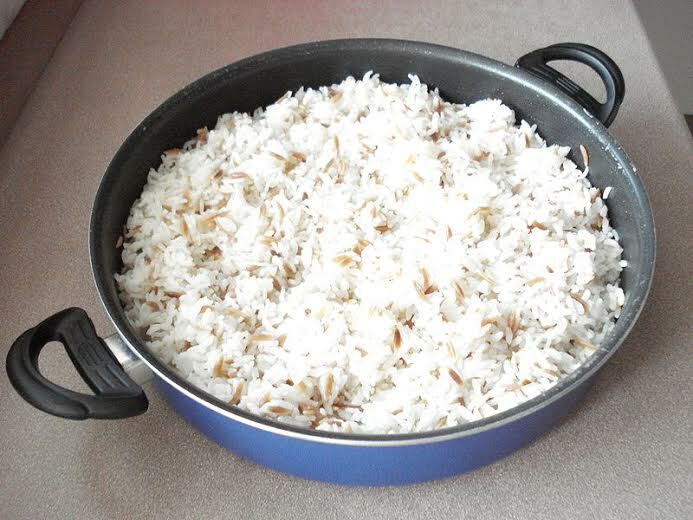 This is the Turkish version of pilaf rice. The rice is cooked in water and butter with short noodles. In order to make this dish more exciting locals often add spices such as cinnamon and cumin, herbs including parsley and thyme alongside vegetables like aubergines and peppers. Sometimes meat or even chickpeas are then added to create a wholesome dish. This fantastic typical Turkish dish resembles a pizza, however is topped off with fine minced meat, onion and a fragrant mix of tasty spices. The dough used should be flaky and should be served alongside a fresh salad consisting of tomato, rocket, lemon and parsley. Lahmacum is one of Turkey’s most popular fast food dishes. MMMMmmmMMM I don’t have a lot of experience eating Turkish foods, but you’ve motivated me to leave the shwarmas and kebabs behind for something new like a Lahmacum(?). Can’t wait! Turkish food is the best…and especially yaprak sarma!